August heat can put a damper on North Carolina’s inshore fisheries. The shallows are too warm. Redfish, trout and flounder seem to have vacated the marshes for more comfortable environs. 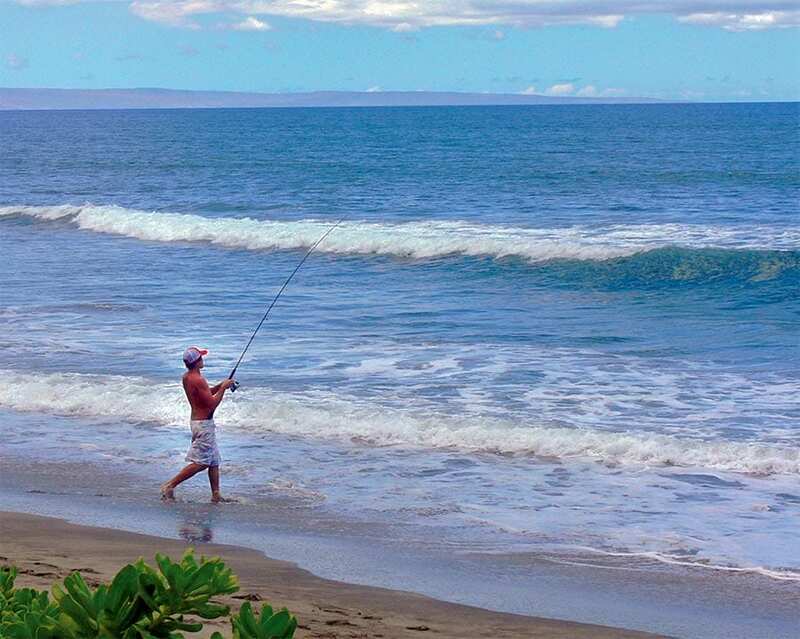 The good news for anglers is there’s still plenty of action to be found in the surf. Get out early in the morning or show up late in the evening, and you’ll not only find the best feeding activity, you’ll also see fewer beachgoers as you enjoy the coolest hours of the day. It’s still a little early for the spottails to show up in numbers along the beaches. One might encounter them, but reds in the surf is more of a fall bite. Right now, pompano are the main event, and one might also hook up with a few tasty little whiting, which are present on the beaches year-round. It’s pretty convenient that the same rigs and bait are effective for either species. It’s simple fishing with limited gear requirements. And don’t expect to catch any monsters. Surf fishing in August is more of a numbers game. If you hit it right and find them feeding, it’ll be no time before you’re headed back to the kitchen with a cooler full of tasty little fillets. Pompano start showing up around June, when water temps climb into the 60s. They do not arrive in great numbers until water temperatures are at their hottest in August and September. Then, like throwing a light switch, they will be gone with the first cold front of fall. A standard two-hook bottom rig, with light-wire No. 2 to No. 4 hooks, baited with small pieces of fresh shrimp or whole sand fleas will suffice. Use just enough weight to keep it from rolling in the surf. Some people prefer the traditional pyramid sinker, while others go with a flat pancake-style weight that allows them to move the rig along the bottom. This can be fished with a lightweight spinning outfit and 8-pound-test line. With such a simple setup, the most critical skill to catching pompano is the ability to read the surf. The best days will offer up light surf and clear water. Pompano will hang out and feed in the sloughs, and they’ll also move up onto the bars to feed. Cast to the drops on either edge of a sandbar. Fish any break in the bar, or drop baits just on the edge of the deeper water where the waves break. Finding the right beach with these kinds of structure within casting range is as important as anything else. For first-timers, reading the surf will be the most difficult aspect of this type of fishing, but with a little practice catching pompano becomes an easy and relaxing endeavor. And the rewards are second to none. Pomps offer some of the most buttery, tasty white fillets in the ocean.